Biblical preaching is a divinely ordained way of calling people to repentance and for edifying the people of God. It is communicating God’s Word to His people—standing between the world of Scripture and the world of people and speaking the truth of God. Some wonder whether preaching is an out-of-date form of communication and not of value to current church needs. 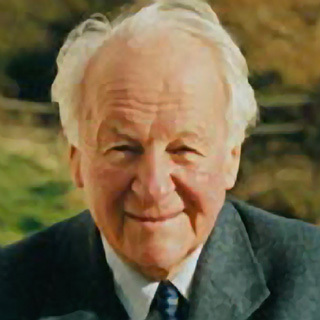 Dr. Stott gives a clear presentation of the importance of the preaching ministry today. This course will enable pastors, teachers, and church leaders to understand the importance and power of preaching, to develop an awareness of true biblical preaching, and to receive practical guidance for preparing and delivering biblical messages. I enjoyed the course and learned a lot about Homiletics from a Pastor’s point of view. This is something I will use in the near future. This course was delightfully in-depth. It was nourishing to my soul as I learned skills along the way. I am very thankful for this course. Define the nature and purpose of biblical preaching and describe its key characteristics. Defend preaching as a permanently valid and vital means of communicating God’s Word to humanity both for salvation and edification. Answer objections to the value of preaching in today’s churches. Articulate a high view of the authority of Scripture and how that view should impact preaching. 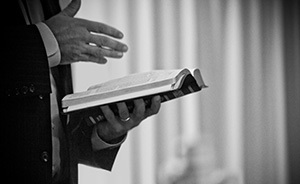 View expository preaching as the preferred approach to communicating God’s Word. Apply key principles of biblical interpretation. Gain experienced insight on sermon preparation and delivery. Develop sermons from single verses, paragraphs, chapters, and whole books. Appreciate the great heritage of Christian preachers in the Church. Value the awesome privilege and responsibility of the call to preach the Gospel. This has to be the best course I have experienced on this site and I have done over 20 over the past few years. What an amazing speaker, God Bless Him. Very helpful, easy to understand . I thank you very much .